Yes. There is no other way to put it – it is absolutely, always worth your while to fight a DUI charge. Although there is some credibility to the idea that it can be worthwhile to simply accept a traffic violation charge and pay the fine because you will use more time and money fighting the charge than you would by simply paying it, this argument does not apply to DUI charges. Unlike traffic violations like speeding and improper passing, which generally carry fines and sometimes, points on your driver’s license, a DUI can strip you of your driver’s license, saddle you with high fees and fines, and even land you in jail. It also stays on your record forever. Many people assume that DUI charges are open-and-shut cases, but this is not actually true. Like with any other criminal charge, you have certain civil rights that must be upheld during the arrest and investigation process. Otherwise, the charge might not be valid. If you were not informed that you have the right to remain silent and that your chosen words may be used against you later, if the officer who arrested you did not have probable cause to stop you, or if evidence was collected to support the charge in an illegal way, the violation can be part of your defense strategy. Other defense strategies include demonstrating that the Breathalyzer used was not calibrated properly or that the officer who administered it was not trained in its use. Talk to your lawyer about all the relevant facts about your case to develop an effective defense strategy. If working with a lawyer and defending your case in court sounds like more work than it is worth, consider the alternative: a DUI conviction. You can simply appear in court and plead guilty; you have this right and do not need a lawyer to exercise it. A driver’s license suspension for at least 180 days. A DUI conviction also means that if the individual is arrested for DUI again, he or she will face steeper penalties that include an ignition interlock device on his or her vehicle. 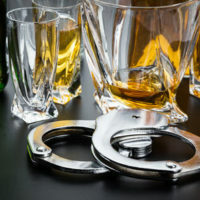 If you were charged with DUI, contact our team of experienced DUI defense lawyers at Ratzan & Faccidomo, LLC in Miami today to schedule your initial consultation in our office to discuss your case further. We can answer all of your questions and work with you to develop a legal defense strategy for your case.